iStock Promo Code - April 2019 - 33% Off iStockphoto Coupon Codes! Welcome to a list of the best, up-to-date coupon codes for istockphoto.com. These coupon codes will let you save money on any of the services available on their website, whether you want to buy a video, audio track, an illustration or a photo. All of their content is royalty free, so all it takes is a subscription or a few credits to get the one you want for your website. We check our promo codes weekly, so they are all valid and up-to-date. iStock is a stock content producer, utilizing a user sharing system to get original content which you can use on your website or social media page. They can provide you with pictures, video, or audio from their base which you can then use however you like on your website for a small fee. They also offer subscription plans if you are going to be using a lot of their content. The coupons below will help you save on any costs you may encounter during your use of iStock’s media services. The high quality media they produce can be expensive – they pay each of the uploaders at least a 15% commission – but it’s worth it, and hopefully the discount codes below will help to make it slightly more affordable. Good luck finding a discount that works for you! Save 10% off All Credit Packs at iStock by Getty Images! Save 10% off all credit packs. This offer is valid for both new and existing customers. Expires March 31st, 2019. Use this coupon code to save 10% off all iStock credits. No minimum purchase required. You can now download single images from only $12 without signing up for a monthly or yearly subscription. With a monthly iStock subscription you can now get 10 images for only $40. That's $4 per image! Sign-up now! With this promo code you can now save 60% when you download more than 3 photos, illustrations or vector files. New! When you use this promo code you'll save 20% off both iStock Signature and iStock Essentials monthly subscriptions. Now that unused iStock credits rollover from month-to-month, this is the best deal out there. When you buy in bulk, you save a lot more upfront. If you purchase 300 credits or more, you'll save 33% off the regular price. 300 credits is quite expensive, but if you're eventually going to use them up in your company's promotions, this will save you a lot upfront. No promo code required: the 33% discount will apply automatically in the shopping cart. Use this promo code when purchasing iStock credits to save 20% off your purchase. No minimum purchase required. Save 21% off when you purchase 18 credits or more. No promo code needed for this offer. This is an ongoing promotion where the discount will apply automatically. No need to purchase 18 credits? You can still save 20% off your order when you buy 12 credits or more. No discount code required. The more you purchase, the more you save. When you buy 60 credits, the instant savings bumps up to 28%. New Years Promotion: Get 10% Off Credits! Ring in the New Year with some fresh stock photography for your website or print advertising. Whatever your business goals for the year are, iStock is here to help you achieve them! No minimum purchase required. Expires January 30th. Fall into savings this season with 12% off monthly subscriptions for all new customers. Expires September 30th. Remember that any unused credits will roll over to the next month! Spring into Savings: Get 10% Off Credits! Do some marketing spring cleaning and treat your business to new photography for your website or print advertising! No minimum purchase required. Expires April 30th. Now that you have some great discounts lined up with our coupon codes, you’ll need to know where to enter your code to get a discount. Websites and e-commerce stores tend to hide their coupon code box away in different places, which can make it tricky to get the discount you want. To make sure you get your saving, follow this short guide which will tell you where to find the coupon box on iStock. To use iStock and purchase their images, you need an account. Just enter your email address and create a password when prompted, and you will be able to proceed to your order. The “Create an Account” page should look like this. After entering your billing information at the checkout, look to the right side of the screen for your order summary. Below the total cost is a link reading “Have a promo code?”. There it is! It’s just below the total price. Click this link and the promo code box will appear. Enter your promo code, double checking that everything is spelt correctly, and click “Apply”. Your promo code has been used, and the order total should decrease! Well done on finding yourself a great discount. iStock utilizes the micropayment model of trade. The small transactions (usually less than 1 USD) occur on the site frequently to buy singular items, but the customers also have the option of buying many credits for items or subscribing and getting unlimited items. The subscription method is the one that will save you the most money, but it depends on how much you are likely to use the media that iStock provides you with. If you run multiple websites which require media, a subscription is definitely the most affordable way to go. You can also set up corporate accounts if you are a large firm, you can provide your employees with sub-accounts so they can get the images they need for their projects, but billing is consolidated into one convenient payment. Corporate accounts can also apply for invoicing, instead of paying up front. You can purchase credits for the whole team, but set a limit on how many each individual sub-account can use so that one person doesn’t burn through the whole thing. There is no limit to how many sub-accounts you can create, and there is reporting available on who is using what to help you stay organized. As you may surmise from the domain name of istockphoto.com, iStock began with just photographs – and they were free. Founder Bruce Livingstone began the company in 2000, supported by his own web development site. The site began charging money for media in 2001 and has grown into a profitable enterprise, with mega stock photo operator GettyImages buying the company in 2006 for $50 million. However, it has retained its independence as a site, and has a range of features not present on GettyImages. Any good artist can upload their work to iStock and get between 15% and 40% commission rates. Each submission is checked for quality before it can be uploaded, and of course all the content displayed on the site is original. Utilizing such a broad base of photographers has contributed to the success of iStock, which prides itself on having more variety and higher quality content than any of its competitors. The iStock philosophy of paying people to do what they love has helped expand the company’s outreach and the quality of the media they provide. iStock has a strong foundation for social media pages, considering that it is a company based around media services. They profile key contributors on their accounts as well as responding to customer requests – although they would rather any business queries were kept to the designated customer service section of their website. They regularly post photos from their stock, showcasing the best of what they have. Often, their posts originate from their parent company, Getty Images, so it could be good to check out their social media pages too. Dropbox: It’s not hard to imagine why a cloud storage company may also be of use to a designer or firm, after all you need somewhere to put all those stock photos! With this offer from iStock and Dropbox, iStock customers can get either 30% off of Dropbox Pro or try a 90-day trial of Dropbox Business for free. I personally use Dropbox for my business, and it’s a huge help being able to access all of my files from any device or share a file or folder with somebody (and they don’t need to be a Dropbox customer too! ), no matter where I am. Photos.com by Getty Images: Have you ever seen a great photo and thought, wow I wish I could get that framed? Well, that’s exactly what Photos.com does! With 4 sizes to choose from and an array of materials you can have your photo printed on, you can get that perfect piece of art for your home or office. iStock customers will receive 15% off and FREE shipping of any art print of a Getty Images photo. Promo by Slidely: Promo let’s you create videos for social media for your small business using high quality video clips, licensed music, and a text editor. Easy to use and inexpensive if you have a tight advertising budget! Through their partnership Promo is offering 50% off when you purchase 3 months of access to their video creator for iStock customers. Videos are a great way to engage your customers and build your brand awareness, try it out today! Skillshare: Skillshare is an online classroom where you learn by video. They offer classes in a wide variety of subjects from business, photography, design, writing, art, cooking, to film and more. They offer personalized suggestions for you based on your profile and other classes that you have purchased. One of the unique features of skillshare is that you are not learning on your own, but with other students taking your course. You have the opportunity to network and communicate with other students, as well as get feedback on your projects. Skillshare believes in ‘learning by doing’, so you will complete a small project for every course. Animoto: Animoto gives you the ability to create polished and eye-catching promotional videos using your own photos and video clips. Using videos is one of the best ways to promote your business and get the word out about what it is that you do. Research shows people are less likely to scroll past a video on social media. As an iStock customer you qualify to try out the service for free and for 20% off of your first Animoto Professional subscription. 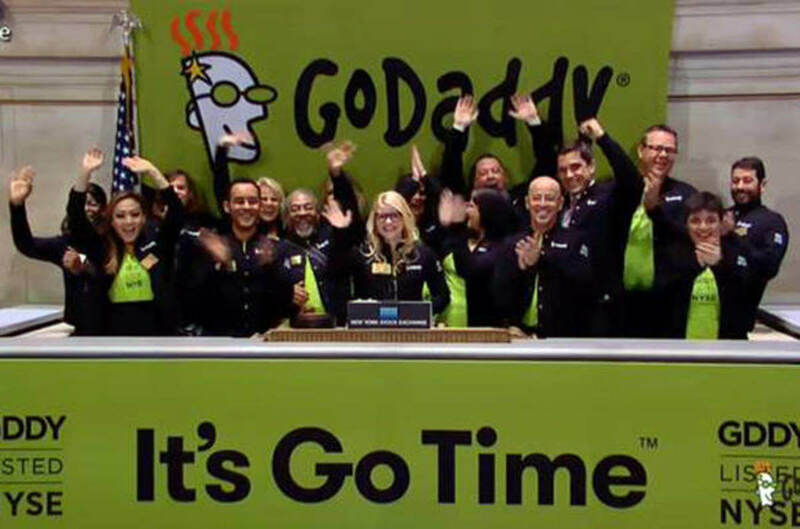 GoDaddy: GoDaddy is the worlds largest domain registrar, and an excellent web host with affordable prices. If you need a website, check out all the services offered by GoDaddy including domain registration, all kinds of web hosting (shared, WordPress, VPS, and more) as well as email, marketing, and online security. They are offering up to 90% off and $1 domain names for iStock customers!